In VISSUM we apply the latest pharmacological treatments and advanced surgical techniques to effectively control its progression. 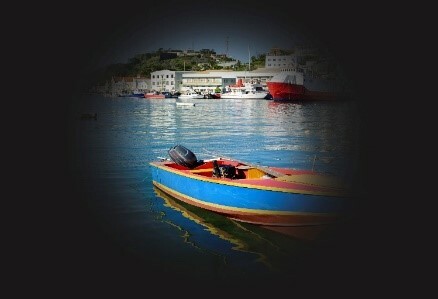 Glaucoma refers to a group of neurodegenerative diseases characterised by the presence of a progressive injury to the optic nerve, the main risk factor of this being high intraocular pressure. 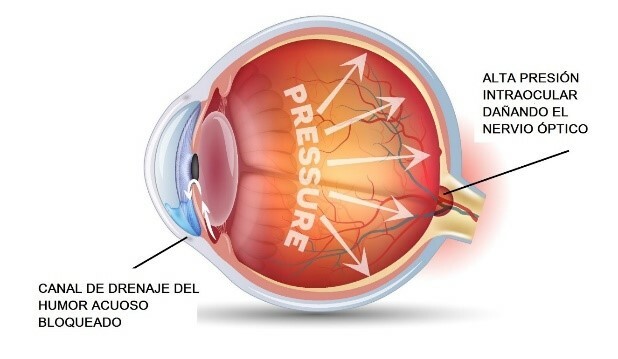 This increase in intraocular pressure is due to the rupture of the balance that exists between the production of aqueous humour (clear liquid located in the anterior chamber of the eye) and its natural evacuation by the eye. 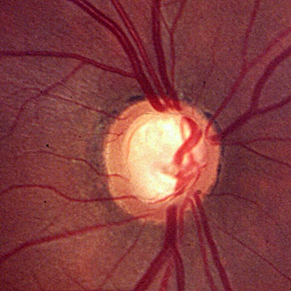 Glaucoma is the main cause of irreversible blindness today. It is estimated that it currently affects more than a million Spaniards of over 40 years of age, approximately half of whom do not know they have it. The main problem of glaucoma is that it does not have symptoms on our vision until very advanced phases, as initially the loss of vision does not affect the centre of the visual field. In order to be diagnosed as early as possible, ophthalmic check-ups are necessary which include measurement of intraocular pressure and additional tests such as visual perimetry and image tests of the head of the optic nerve. Glaucoma attacks can cause acute pain and in addition to a sudden decrease of vision and intense reddening, nausea and vomiting, headaches and halos around lights can occur. In these cases, it is necessary to urgently visit a specialist. VISSUM recommends a yearly check-up of intraocular pressure for people over 40 years of age, particularly those with a family history of glaucoma. At present all treatments are aimed at reducing intraocular pressure and thereby halting the progression of the injury to the optic nerve. In the initial stages of the disease pharmacological treatment is highly effective and easy to apply in the form of eye drops. Laser techniques (trabeculoplasty) and surgical techniques (trabeculectomy, non-penetrating deep sclerectomy or valves) can then be performed which are aimed at providing alternative exit routes for the aqueous humour. VISSUM’s expert surgeons conduct the so-called non-penetrating deep sclerectomy, a less aggressive operation that drains the aqueous humour without penetrating inside the eyeball, reducing postoperative complications, and speeding up the patient’s recovery.